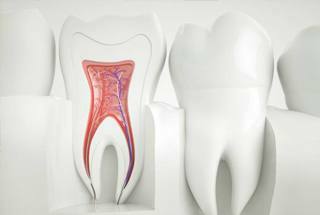 Do you have an infected tooth causing you pain? Do not worry. You do not need to have an extraction. Instead, Marble Dental Care can save your smile with a root canal in McKinney. 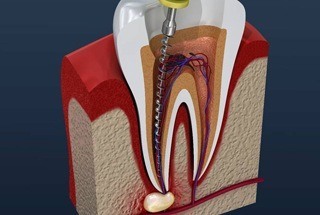 The endodontic treatment removes the inner layer of your tooth to reinstate its health. The restorative procedure offers over a 96% success rate when performed by a qualified dentist like Dr. Zack Hegazin. He uses the latest techniques and technologies to promote a comfortable and successful treatment. Pain when placing pressure on a tooth. Lingering sensitivity to hot or cold temperatures. Pimple-like bump appearing near the gum line. Dr. Hegazin takes digital x-rays to view the entire structure of your tooth to create a customized treatment plan. Although you may be hesitant to undergo the treatment because of its bad reputation, you have nothing to fear. Your dentist in McKinney uses the latest advancements in dentistry to ensure your comfort, so the treatment is no worse than a traditional filling. Your procedure begins by removing the areas of damage and extracting the pulp of your tooth, which is the inner layer. Your tooth is then sterilized before it is sealed using a special material called gutta-percha. Now, its health is reinstated, but its function and appearance are still compromised. You need a dental crown to restore its integrity and aesthetics. Marble Dental Care can give you the restoration you need in just one day with state-of-the-art technology. Dr. Hegazin takes a digital impression of your mouth to get the exact measurements needed for your dental crown. This is a custom-made cap placed over the entire visible portion of your tooth. The digital process improves the accuracy of your treatment while eliminating the need for a messy impression material. The image integrates with CAD/CAM software. Dr. Hegazin sets the specifics for your restoration to ensure it meets your exact size, shape, and color needs. The information is sent to our in-office milling machine where your restoration is cut from a single block of all-ceramic material in about 1 hour. There is no need for a temporary crown or a second appointment. Although the crown is created in just one day, rest assured it is durable. It can last for an average of 10 years before needing to be replaced if you care for it properly. If you have a damaged tooth, you do not need to have it pulled out. Dr. Hegazin can save your smile with root canal therapy. Contact Marble Dental Care today to schedule your consultation.